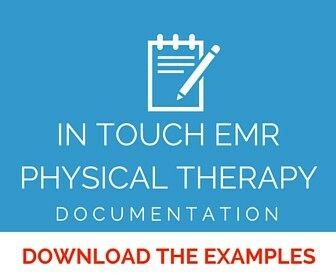 At In Touch EMR, we get daily calls from clinicians, owners and students asking us for physical therapy documentation examples that qualify as ‘defensible documentation’. Here’s a thought – why do we need to be ‘defensive’ with our documentation? Why can’t we just focus on patient treatment, and not be burdened by endless documentation? It’s a valid notion, but the reality of reimbursements leaves us no choice. It forces us to document. The purpose of documentation is to demonstrate intent, the intent to bill certain codes and get paid by an insurance company. As best practice, rendering providers should have a basic understanding of compliant documentation, and how insurance payments work since they generate the claims. The clinician handles visual, verbal or manual contact with the patient, and is responsible for documentation of billable time and medical necessity. This is the foundation for the creation of the claim, and reimbursements. As clinicians, we provided skilled services, and the proof of those skilled services is clinical documentation. So we want to treat patients but need to document. This disconnect between the ‘want’ and the ‘need’ creates a fear. The fear is “What if I don’t document correctly?”. This creates a vicious cycle where we document too much. Fear makes us focus on quantity as opposed to quality of documentation. On the other hand, access to the right physical therapy documentation examples can help us focus on quality, as opposed to quantity of documentation. As clinicians, we want to focus 100% of our energy on the patient, but instead we find ourselves transformed into data entry machines and glorified typists, of the need to document too much which creates an irrational fear or denials. Whether we like it or not, we have to document, and clinical documentation of skilled services can be time consuming. That’s why this article on 10 ways to speed up physical therapy documentation should help. To make your life easier, we have taken the time to analyze various documentation systems. We have also taken the time to compare medical billing software and created a comprehensive resource for you. It is a summary of all the physical therapy forms you need in your practice. 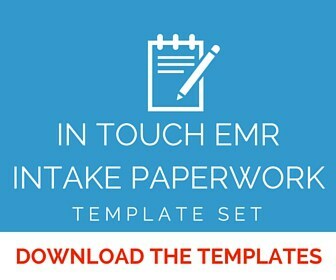 We also provide you with an option to download done-for-you templates for documentation. Documentation begins even before the patient is seen by the clinician. With most healthcare practices, there are forms that need to be completed by the patient prior to the initial examination by the therapist. The medical history form or the initial patient intake form establishes a foundation for identifying and treating the patients problems. 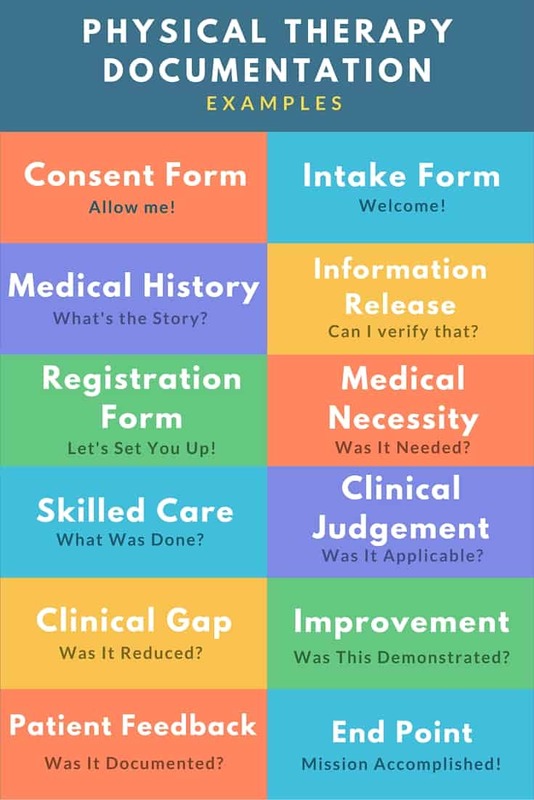 By signing the consent form, the patient gives written permission to the clinic to explore payer eligibility, communicate with other healthcare providers about the patients condition, examine the patients and act on behalf of the patient to provide necessary care. Click the button below to get this entire form set delivered to you by email. Physical therapy documentation should justify medical necessity. The rendering provider (clinician) has the unique skills, expertise, knowledge, experience and clinical judgment to provide a set of skilled services to the client or patient. Physical therapy forms should address several important questions to establish medical necessity. For starters, will this result in an improvement in the patient’s condition? It is imperative to document justification for services rendered, and not just bill services, but document why you billed what you billed (this is the basis of the design of the flowsheet component in In Touch EMR). Ask yourself – Are you doing this consistently? The treatments that are provided – are they absolutely necessary? If they are, are the skills of a licensed therapist needed? Physical therapy documentation should explain what the patient is doing, and what it is that the provider is doing / the manner in which the provider is contributing to make the treatment process billable as ‘skilled care’ that is ‘medically necessary’. Once the treatment has begun, the therapist must monitor the treatment regularly. The rationale for clinical decisions must be documented at regular intervals. This is achieved with a combination of customized physical therapy documentation examples, specific to the patient and your treatment philosophy, regular tests, standardized tools, subjective feedback and various measures. When the clinician combines clinical judgment with subjective findings reported by the patient and caregiver considerations, a precise clinical picture emerges. The clinician is now able to identify where the patient was, where the patient needs to be, how soon they need to get there and most importantly what needs to be done to get there. This is called the ‘clinical gap’. The ‘clinical gap’ between where the patient is right now, and where they need to be, is used to create short term and long-term goals. Outlining patient progression through a series of goals that are achieved and modified is an excellent way to convey progress and justify treatment. …At that point, skilled therapy may no longer be necessary. Documentation is required for every visit/encounter. All documentation must comply with the applicable jurisdictional/regulatory requirements. All handwritten entries shall be made in ink and will include original signatures. Electronic entries are made with appropriate security and confidentiality provisions. Charting errors should be corrected by drawing a single line through the error and initialing and dating the chart or through the appropriate mechanism for electronic documentation that clearly indicates that a change was made without deletion of the original record. Documentation should include the referral mechanism by which physical therapy services are initiated. Documentation should include indication of no shows and cancellations. 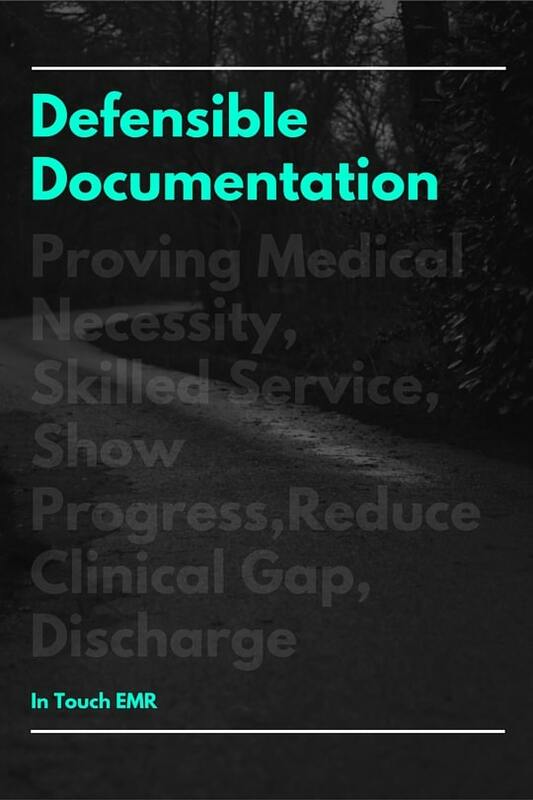 This download includes a complete outline of the required data points for all document types, including initial evaluation, reevaluation, progress note, daily note and discharge note. Here are just some of the data points included in the download file. Documentation of history may include demographics, social history, employment/work, general health status and more.. Documentation of systems review may include cardiovascular/pulmonary, integumentary, musculoskeletal, neuromuscular and more.. Documentation of systems review may also address communication ability, affect, cognition, language, and learning style.